DornerWorks has experience writing software for a wide variety of embedded processor architectures, including the ARM processors on the i.MX6 and i.MX8 series. We have worked within RTOS environments, including VxWorks, Windows CE, QNX, and some embedded flavors of Linux. Our engineers are comfortable without RTOS environments where necessary, providing custom solutions for the task-switching and memory services the RTOS would otherwise provide. Our experience includes work at the application level, the board-support level, and at the device driver level. DornerWorks specializes in platform-enabling technologies such as the Board Support Packages (BSP), Hardware Abstraction Layer (HAL), device drivers, and network protocols. 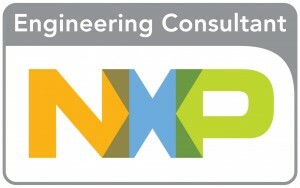 DornerWorks is recommended by NXP as an Engineering Consultant partner.